2018 marked five years since I had began working with what was back then a fledging core HRIS. Thomas Otter had recently been appointed as VP Product Management at SuccessFactors (the time before SAP appeared in the name) and was already making waves with a strategy that would grow Employee Central into a leading, next generation, global core HRIS. Along with Murali Mazhavanchery, Joachim Förderer, Todd Asevedo, a dedicated team of expert HR product managers, hundreds of developers, a handful of stern supporters (the likes of Jyoti Sharma, Paul Rose, Jarret Pazahanick, and myself as a few early ardent fans), and a group of bold customers who embraced Thomas’ vision, Employee Central began on its journey to today. So, exactly what has happened in the last five years? In this blog, I’ll look at how Employee Central has progressed since mid-to-late 2013 today and explore some of the things that helped shape it into the solution it is today, as well as briefly outline my journey to provide some context. 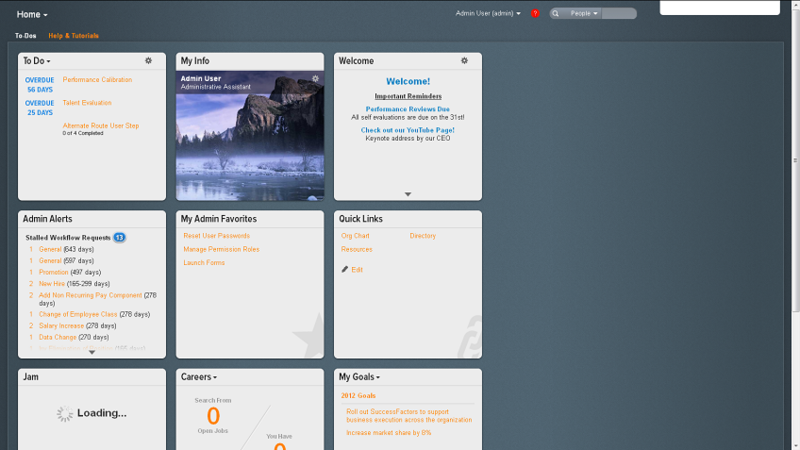 Before I get going, I wanted to give a bit of a background on my journey. For those that know me, you can skip this section 😊. My SuccessFactors journey started back in 2013 and since then I’ve been lucky and honored to have worked with over 25 SuccessFactors customers across three continents in a variety of roles – mostly as an Employee Central Lead consultant, an Integration Architect, or a Solution Architect. 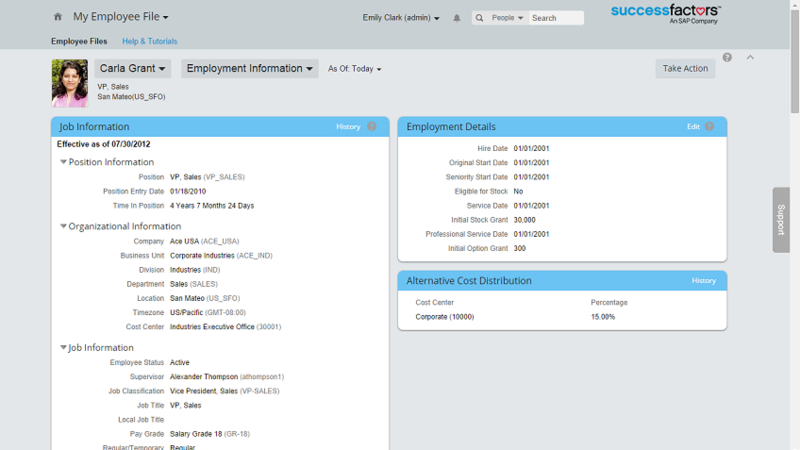 I’ve also been involved in numerous Employee Central Payroll and SuccessFactors Talent projects, as well as a couple of SAP Time & Attendance Management by WorkForce Software implementations. Many of my customers have been global customers and have varied in size and complexity from a few thousand to almost 100,000 employees. It’s been quite a joy to see so many customers transform their HR with SAP SuccessFactors and provide capabilities to employees that simply weren’t possible before. Additionally, I’ve tried to contribute to educating the community and customers; I’ve written several hundred blogs and articles across various platforms, spoken at multiple events, and written a few books (including the SAP PRESS title SAP SuccessFactors Employee Central: The Comprehensive Guide with Murali Mazhavanchery and Rebecca Murray). It’s been an incredible ride and I’m thankful to all those I’ve worked with and learned from along the way. 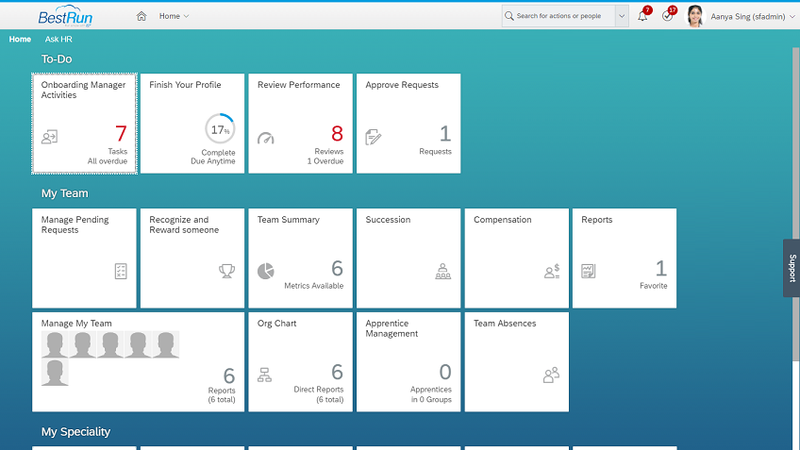 Employee Central has become the key part of the suite that underlies the other processes and modules offered across the SAP SuccessFactors HCM Suite, particularly around talent and analytics. The core data needed to run HR business processes – such as compensation changes, bonuses, succession planning, organizational management, etc. 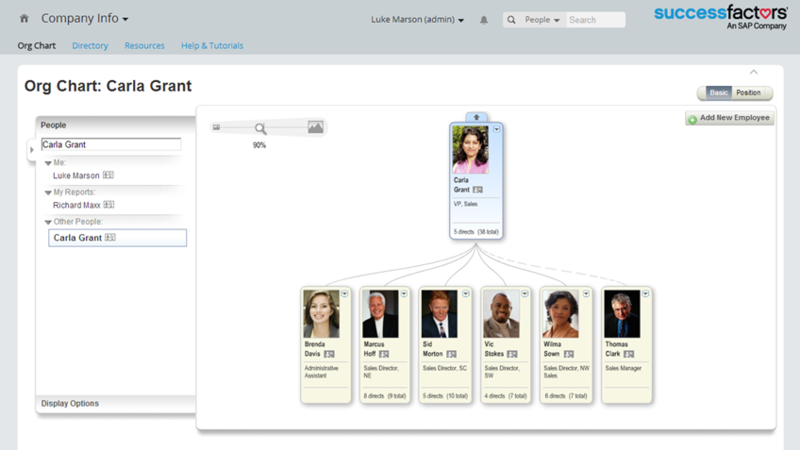 – sits in your core HR system, which in the SAP SuccessFactors HCM Suite is Employee Central. At this point in time Employee Central was already ready for primetime, but this didn’t stop significant investment from SAP. No core HRIS can work in a silo; it has to be integrated with our applications in the system landscape. Back in 2013 SAP already had integration to SAP ERP and to Employee Central Payroll, as well as some other systems such as Benefitfocus. The most major prepackaged integration released has been for integration between Employee Central and SAP Time & Attendance Management by WorkForce Software. 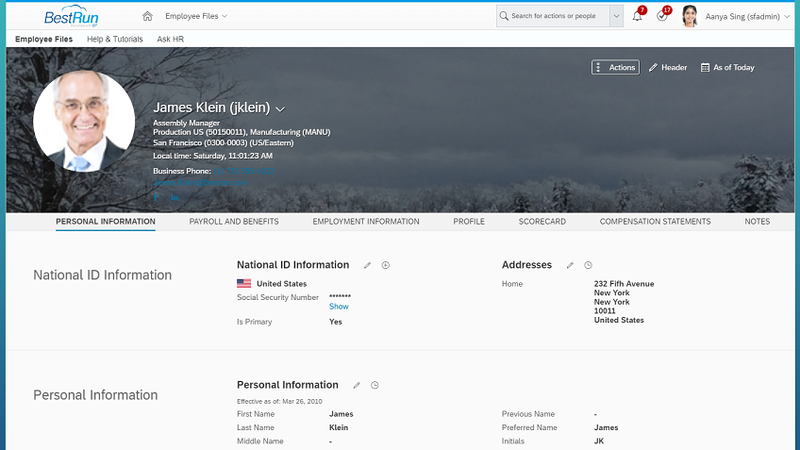 There have been significant enhancements to the integration between Employee Central and SAP ERP, as well as significant enhancements to the OData API. 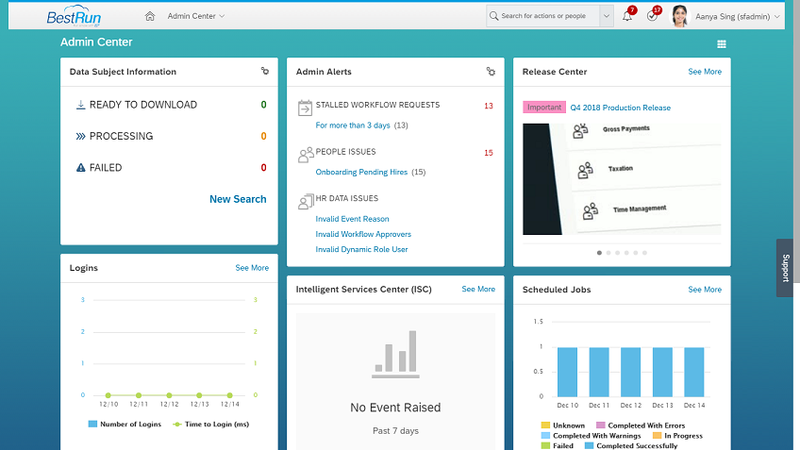 Two new entire capabilities in the suite that impact Employee Central are Integration Center and Intelligent Services. While not technically integration, the Infoporter functionality enables migration of data from SAP ERP HCM to Employee Central during implementation. And while no core HRIS can work in silo, it also cannot work without being a truly global system. Employee Central now boasts localizations for 94 countries, up from 58 in the Q4 2011 release. On a side note, Employee Central Payroll now offers 43 countries up from 25 countries in the Q4 2011 release. Figures are correct as of the Q4 2018 release. Localizations typically cover national ID formats, address formats, fields for regulatory data collection, reporting, and more. And customers can apply legal changes and other localization features using the Upgrade Center. Employee Central continues to receive strong focus from SAP; Employee Central will be a central piece of the intelligent enterprise and with that comes looping Employee Central into innovations such as digital assistant, people analytics, and deeper integrated processes throughout HR, Finance, procurement, and the Project Management Office (PMO). Please note that the above planned innovations are just that; they are planned and not guaranteed to be delivered. 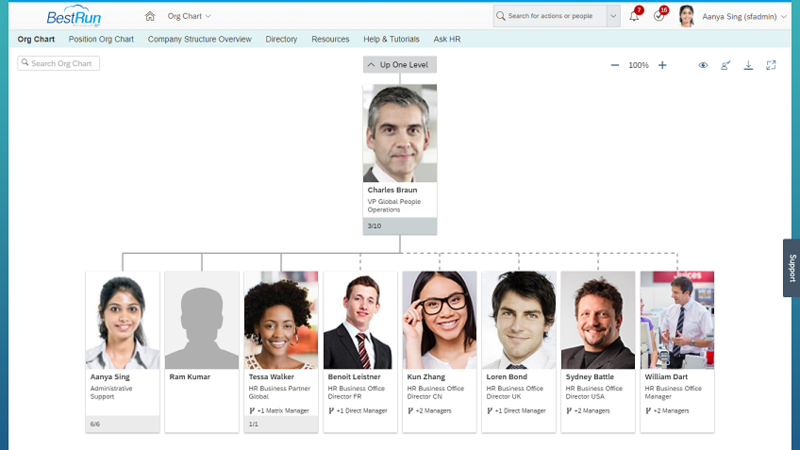 This information should be used to get a flavor of what SAP SuccessFactors plan to do and shouldn’t be used to make any strategic decisions or evaluations without first consulting with SAP SuccessFactors. While this may be the end of my blog, it’s certainly not the end of the Employee Central revolution. Employee Central continues to gather momentum in the market as customers look to transform their HR organization with the latest cloud technology. As the numbers show, there has been a significant growth in the product and significant adoption by customers. As the next 5 years pass, I expect to see the revolution continue as SAP SuccessFactors continue to invest in Employee Central and customers continue to adopt Employee Central as the core of their HR transformation. Luke, This is perfect read to close this year 2018. 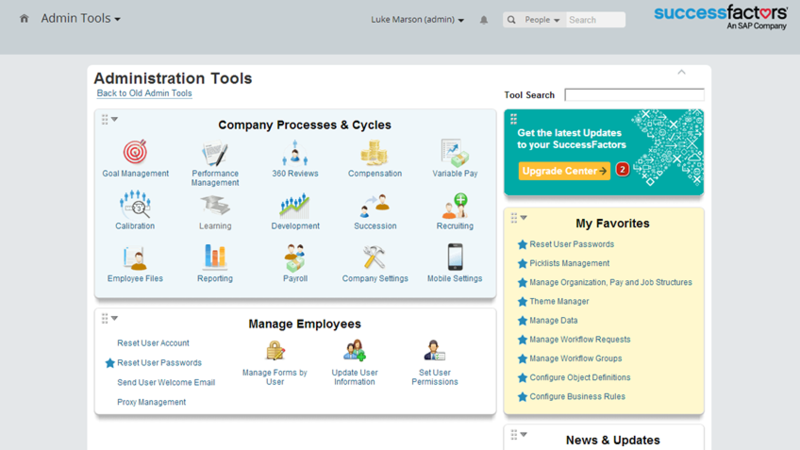 Hi Luke, Employee Central is a the key enabler for SF Business Suite. Thanks for sharing the EC Evolution. Great ! Luke, thank you for a walk down memory lane! Employee Central has grown to be a leading, truly global cloud HRIS in just a few short years, and you’ve chronicled that history perfectly! Thank you for all of your spot-in analyses and insights you’ve shared over the years. I agree on the growth of EC, Andy. And I very much appreciate the comments! Thanks for sharing this useful read about the journey.